Y4 – Lennon McCartney – First Rock Hero!! Lennon-McCartney have been working hard on their times tables over the last few weeks, enjoying battling it out with other classes and year groups. 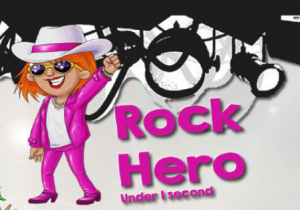 As a result of working so hard in the battles, the class has now got one ‘Rock Hero’ – Abel – who can now answer each question in less that one second! What an achievement! Let’s see how many more people can progress up our rock status’ by getting their speeds even quicker. Well done Abel and keep working hard everyone else!